Not all binoculars are designed equally and what ever you plan to use your binoculars for, you should choose the best binoculars for that purpose. Even if you are after some general purpose binoculars for a variety of different uses, the ideal optics will have different characteristics to a more specialized binocular. In each guide below I go through in detail the main features you need to look out for in the ideal binocular for your intended purpose. Hopefully in this way it will make your decision on which binoculars to buy easier. Whilst you can enjoy birds without them, binoculars along with your bird book are the most essential tools to any bird watcher. But which pair is right for you, In my article I go through which feature to look out for as well as review some of the best, cheapest, lightest, smallest, strongest birding binoculars on the market >> Binoculars for Birding. Slightly different than pure wildlife binoculars as they will also be designed for travel as well as wildlife viewing and must also be able to hold their own as bird watching binoculars. 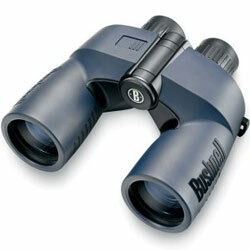 View my article on how to choose the ideal >> Binoculars for Safaris. Best Low Cost, All-Round Travel Binoculars - Advice with suggestions on choosing versatile travel binoculars that perform in a wide range of scenarios inclusing safaris, whale watching, cruise ships, kayaking and general wildlife observation. If you are lucky enough to be going on a cruise, one pice of equipment that I highly recommend you pack in your bag is a good set of bins. In this guide I take a look at the most important features to look out for as well as suggest a few of what I believe to be good cruise ship binoculars based on my tests and reviews. Different to dedicated marine bins, in this section I and a few other experts make a few suggestions as to the best compact binoculars to use whilst whitewater rafting. The ideal hunting binoculars will vary depending on conditions as well as the type of hunting and your terrain, but common features include the need for them to be tough and have excellent light gathering characteristics. High Magnification Binoculars for Long Distance Viewing - A guide to what considerations to keep in mind when looking for high powered binoculars for long distance observation, includes large aperture and giant binoculars. If you are lucky enough to have tickets to your favorite sporting event, be it football, soccer, baseball, athletics, golf, tennis, horse racing, motor racing, basketball, cricket, rugby, ice hockey, beach volleyball, watching sailing and many many more, a good pair of binoculars will add to the enjoyment of the occasion. Read my guide to the >> Best Sports Optics. No matter if you are going to the Kentucky Derby, the Grand National or just you local meet you really should not leave home without a good pair of horse racing binoculars as they will most definitely improve your enjoyment of the event. But what exactly makes a good pair or binoculars for horse racing? 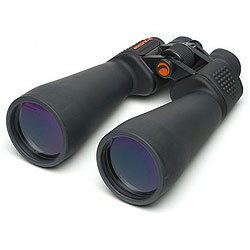 Read my guide to the >> Best Horse Racing Binoculars. No matter if it is a test match between the old rivals, England and Australia, a limited overs one day international, county cricket game, a Twenty20 slog-fest or even just the local club game on the village green, a good pair of binoculars really will add to your enjoyment of the game and I highly recommend taking a pair with you. Read my guide to choosing the >> Best Binoculars for Watching Cricket. If you are going to watch sailing, rowing, canoeing, surfing, windsurfing or indeed if you just want to get a better view of any type of boat or ships from the shore. Many people who are lucky enough to live in a location where they have views over the ocean or a lake purchase binoculars for spotting or watching boats, yachts and ships. Here the distances tend to be a little greater and you don't need to worry about transporting your instrument, so you can get a larger more powerful device to achieve greater image detail. There is so much to see and do in the great outdoors and that is one of the reasons that a good pair of binoculars is so important for that camping trip. But what exactly makes a good camping binocular? As with binoculars, there are many different types of camping, ones where you hike carrying all your equipment were size and weight is vitally important, to a luxury camping trip in your RV, Motor home or camper van. To find the optics that are right for you, read my guide to the >> Best Camping Binoculars. 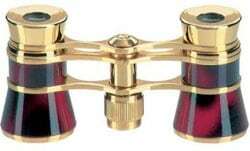 >> Guide to Opera Glasses & Theatre Binoculars. Binoculars are not always used for viewing objects far away and if you have never looked at a butterfly through a pair of binoculars, you should give it a try. The amount of detail and colours that you see is incredible and all at a distance that does not scare it away. 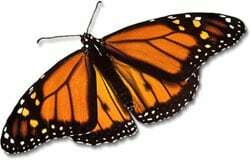 >> Best Binoculars for Viewing Butterflies through Binoculars. 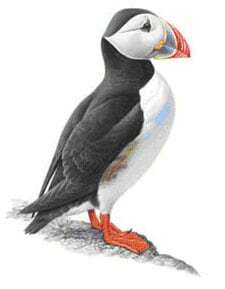 I recently got an e-mail from someone lucky enough to be going on a trip to Iceland where they planned to do a lot of or Puffin, Whale and Seal Watching and wanted some advice on which binoculars would be best suited for their needs. I thought that my advice to them could also be of use to others and so have decided to publish this guide to bins for watching whales and puffins. Read my guide to the >> Best Binoculars for Plane Spotting. Airplane Binoculars - In this article we take a look at what features to look out for the best binoculars to use inside an aircraft. >> Best Binoculars for Space Shuttle Launch. As well as enabling you to enjoy the fantastic mountain views and see some wildlife, a good pair of binoculars will come in very handy especially if you ski off-piste. This is because before going down it is preferable, even important to "scout" the downhill terrain to determine an optimal path to go down and identify possible dangers ahead. Also for navigation you need to look around. Read my guide to the >> Best Binoculars for Skiing & Snowboarding. These are not binoculars that you use whilst surfing, rather ones that you use to watch people surfing either at competitions or just your friends. A great pair is similar to a general all purpose sports binocular, but with a few added requirements. These include the obvious need to be waterproof, not only to protect from sea spray, but also from sand and dust. Most binoculars have a strong masculine look to them, but a few manufacturers have decided to design binoculars with a softer, more feminine look to them. 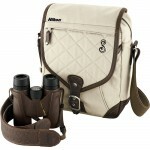 From safari & birding binoculars, to optics ideal as a functional, stylish accessory to a day at Wimbledon or the races. >> Binoculars for Women.